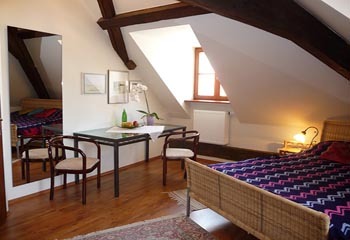 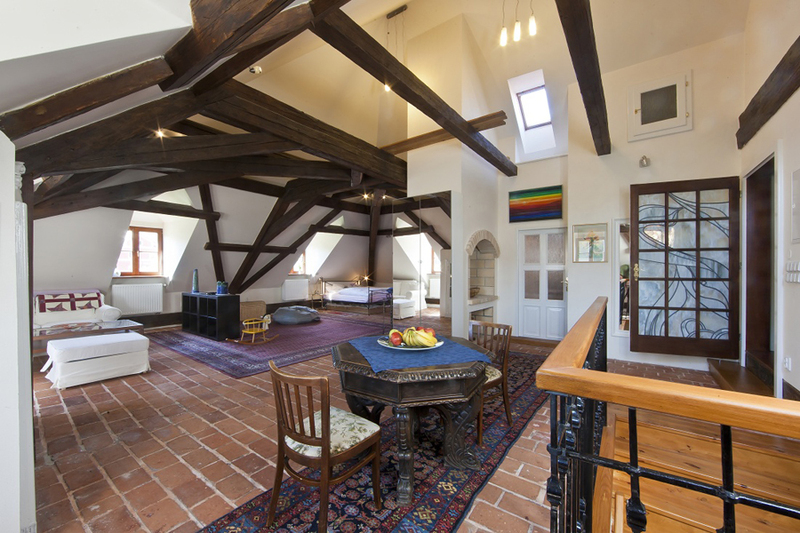 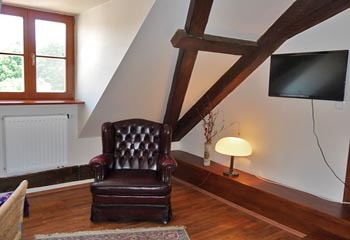 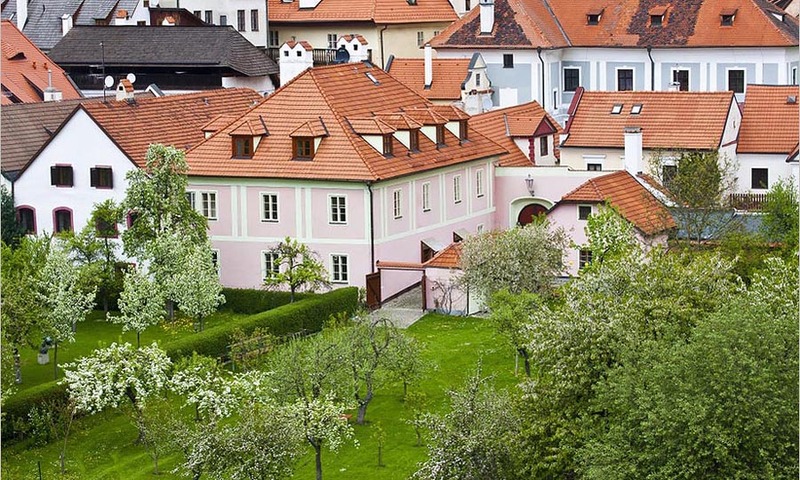 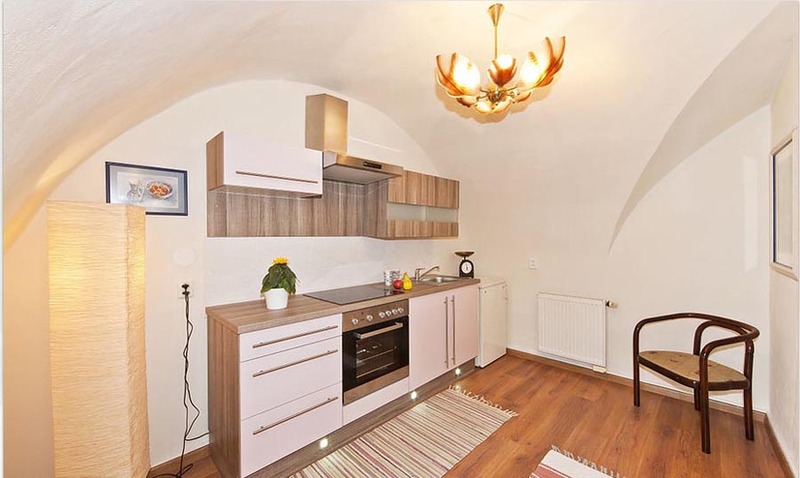 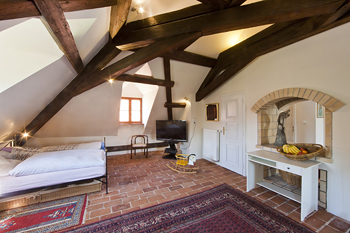 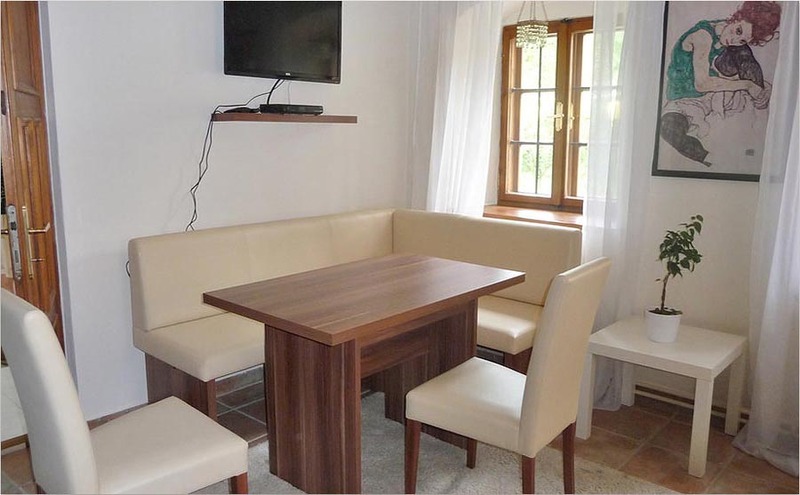 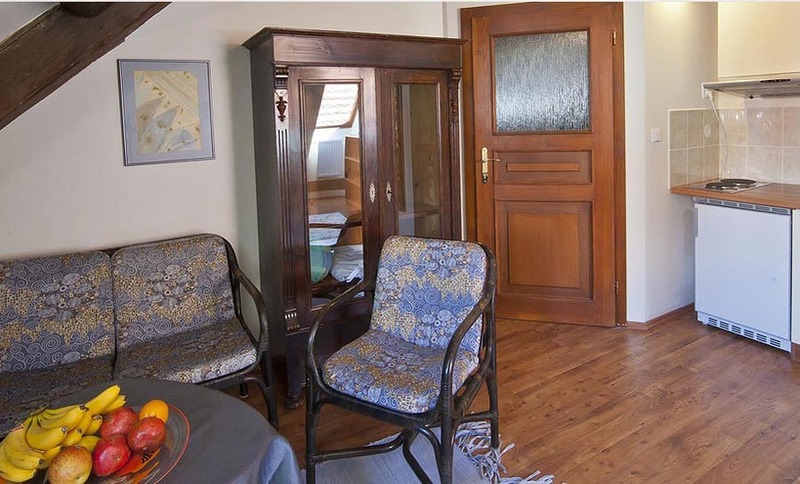 Orangerie apartments are just next to the brewery gardens, in the heart of Cesky Krumlov. The 16th century building has been renovated in 2013. 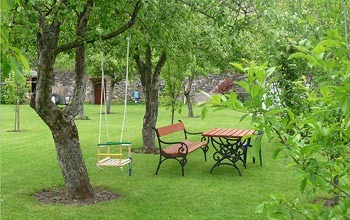 The name Orangerie stems from the fact that the building hosted one of the first orangeries on the continent. 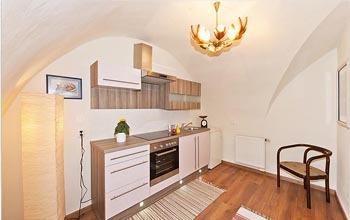 (Brno, Salzburg, Munchen) also possible. The house is located in the old town, about 2 minutes from the castle, in a small street next to the main walking street of the city, Latran. 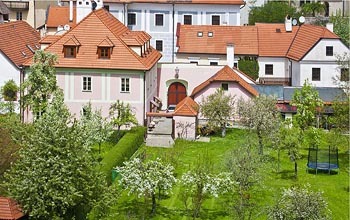 The old city is pedestrianized, but parking is possible in the yard, which is a unique possibility in the old Krumlov area. 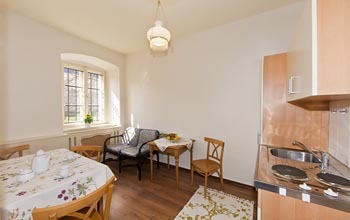 All apartments have Wi-Fi acces. 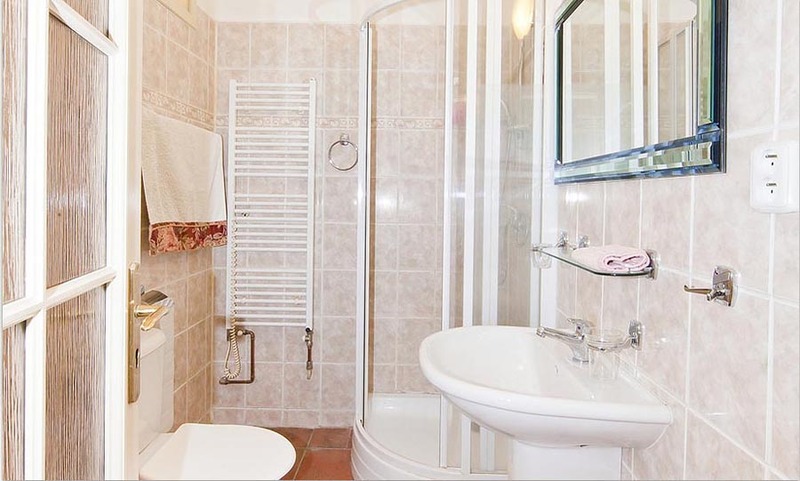 The apartment Pomelo of the Orangerie guesthouse in Český Krumlov is our biggest vacation rental, an independent house right in the brewery garden. 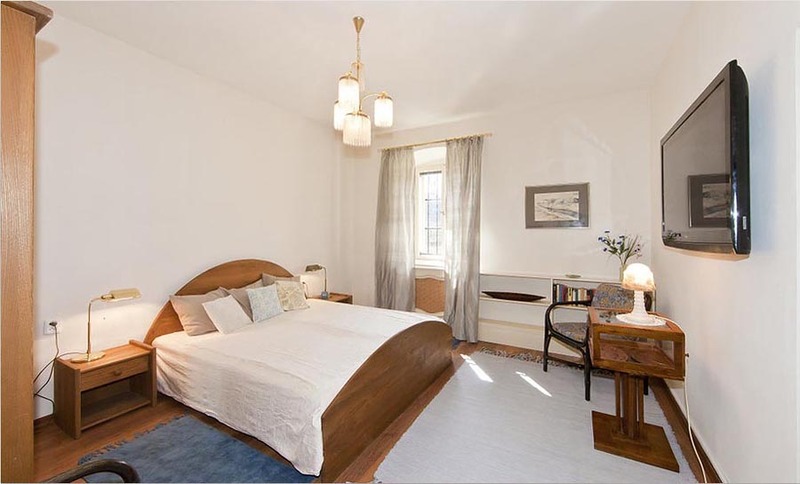 It is equipped with a king size bed on the first floor and a sofa bed for two in the living room, a big kitchen and two bathrooms, one on each floor. 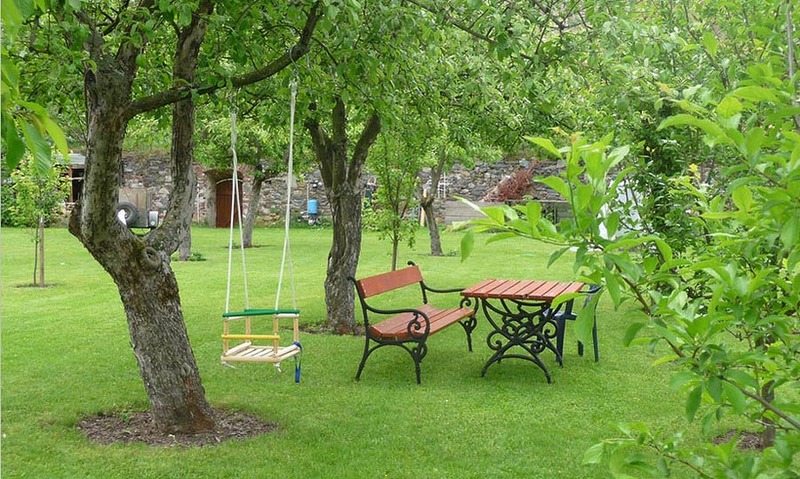 It is ideal for families, an extra mattress or baby bed is available any time. The Bizarria apartment of the Orangerie guesthouse in Český Krumlov is located on the second floor of the main building. 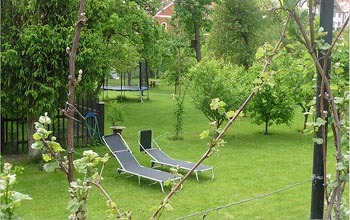 From there you have a great view over the brewery garden and the river. 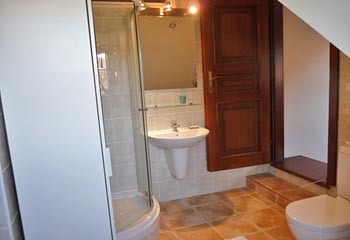 It is equipped with a king size bed and an en-suite bathroom, a water boiler and a mini fridge. 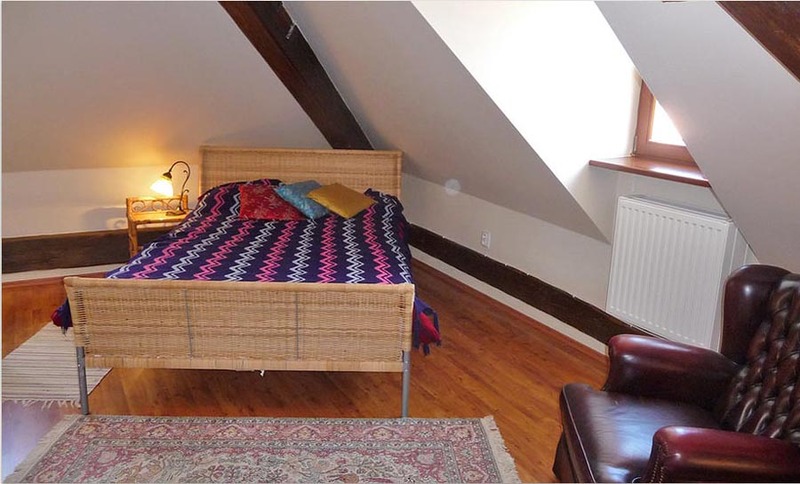 Extra mattresses or a baby bed can be provided. The Nektarina apartment of the Orangerie guesthouse in Český Krumlov is on the second floor of the big building. 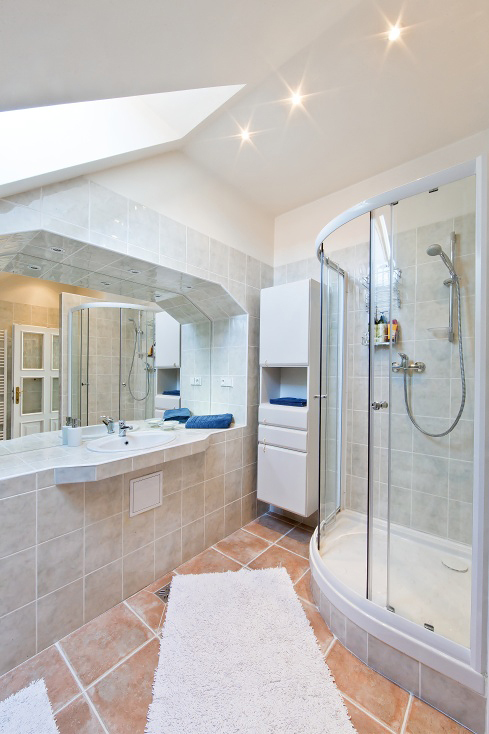 It is equipped with a small kitchenette and an en-suite bathroom. 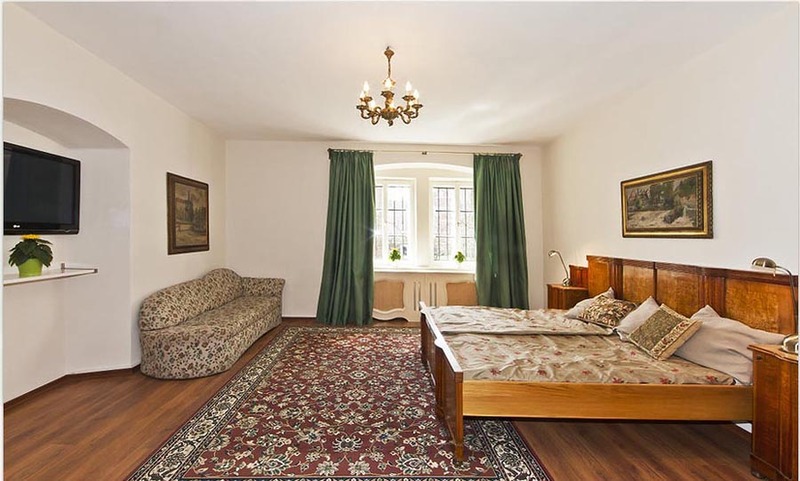 There is one King size bed, and the possibility to put in an extra mattress or baby bed at any time. 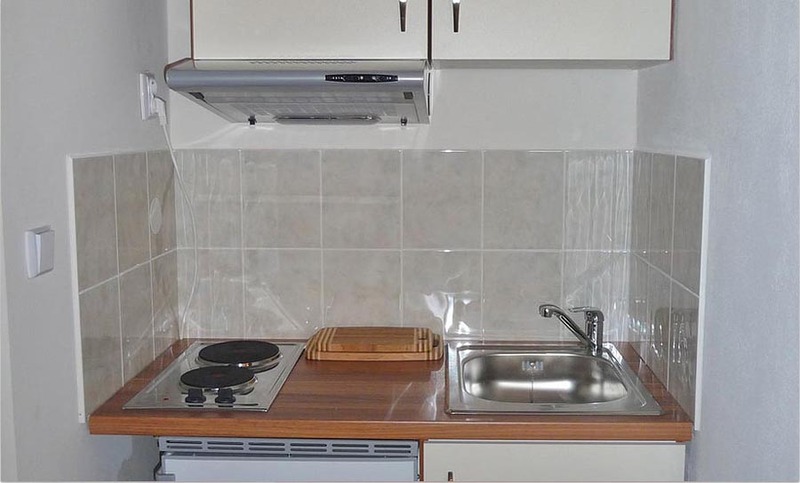 Ideal for couples, even with a small child. 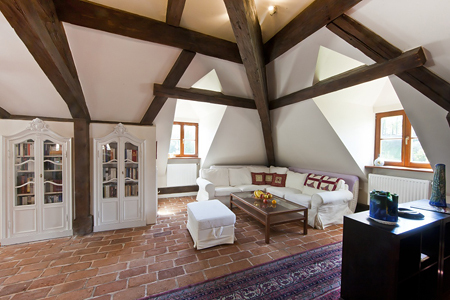 The apartment Lime in the Orangierie guest house in Český Krumlov is located on the ground floor of the big building. 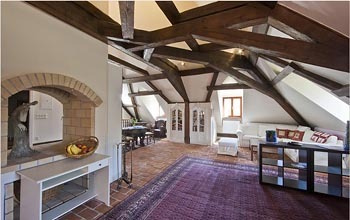 Its windows are overlooking the brewery garden. 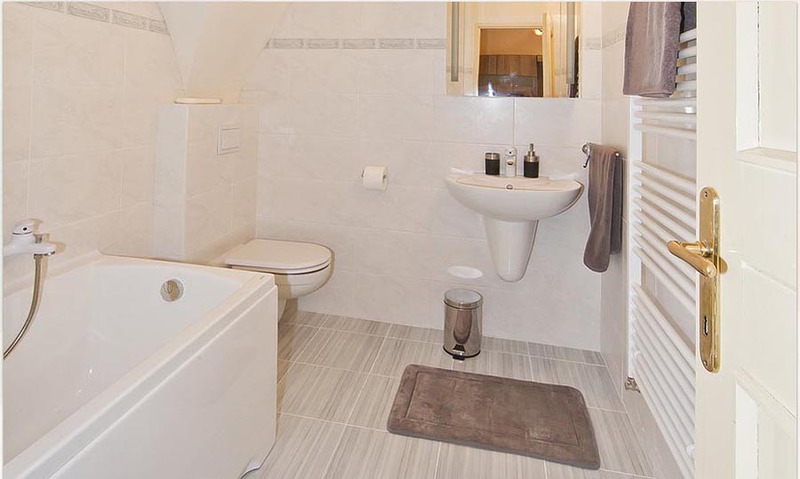 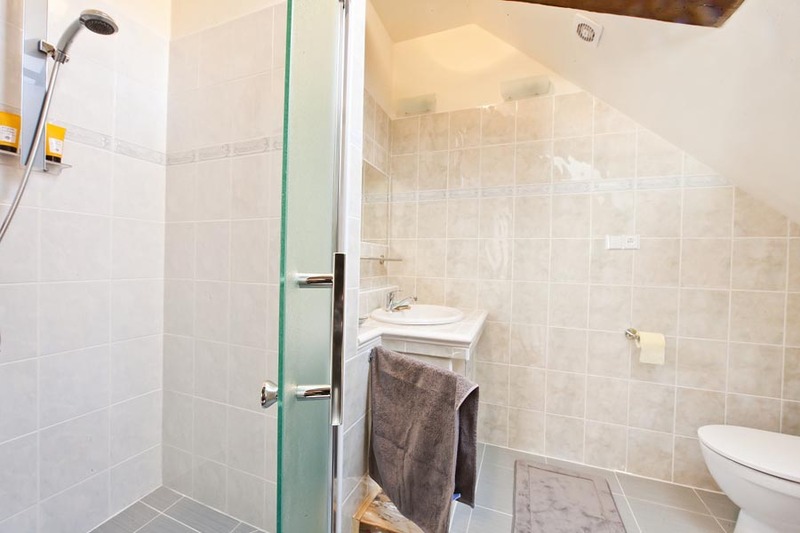 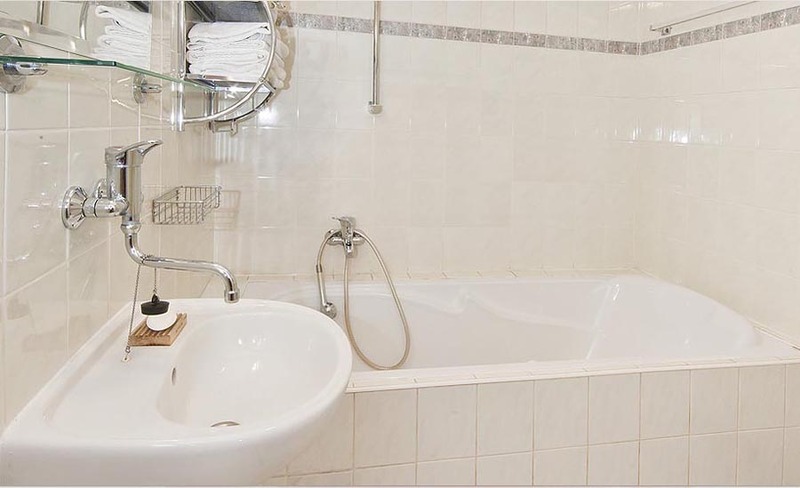 It is suitable for two, with one bedroom, a fully equipped kitchen and an en-suite bathroom. 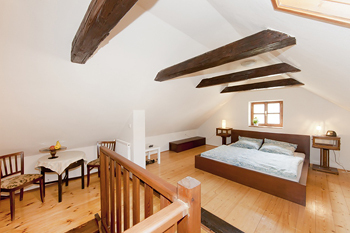 Extra sleeping or child equipment (mattress or baby bed) can be placed at any time. 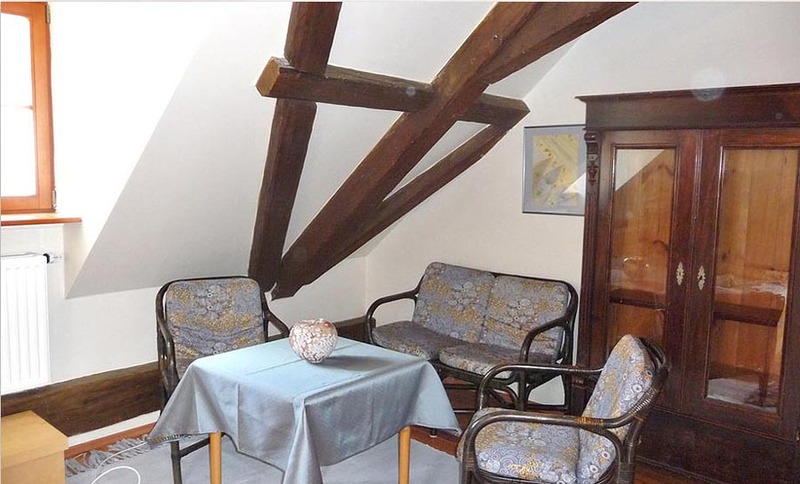 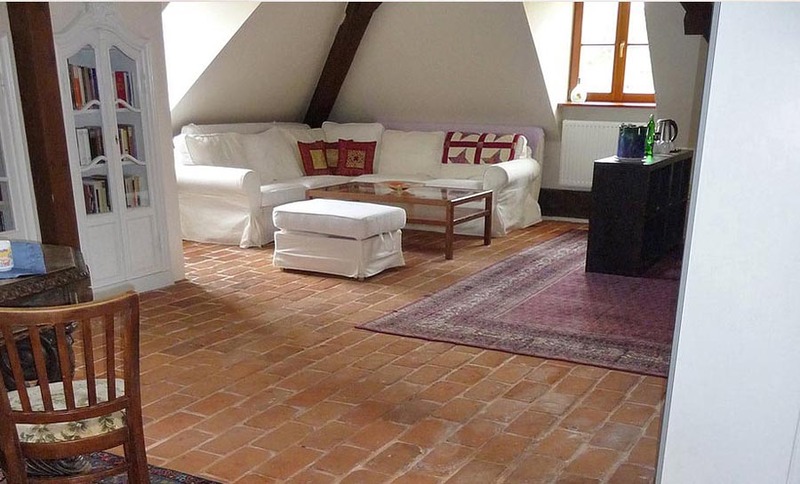 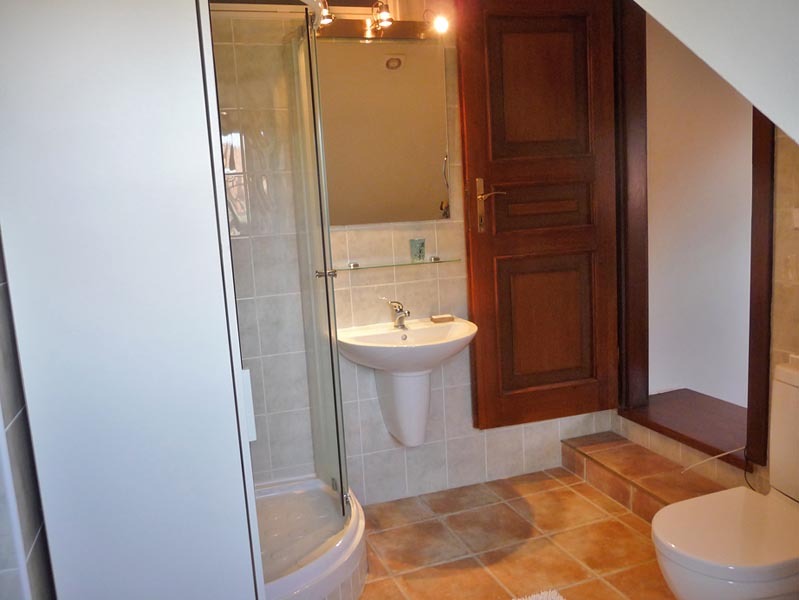 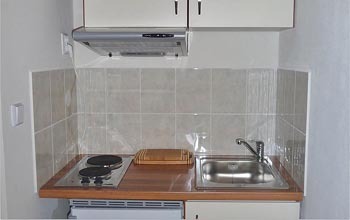 This vacation rental is also suitable for people with reduced mobility. 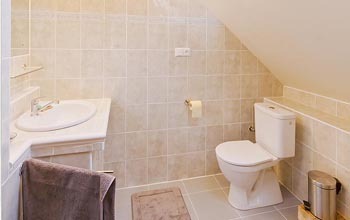 The Mandarin apartment of the Orangerie guesthouse in Český Krumlov is a single room located on the second floor of the main building. 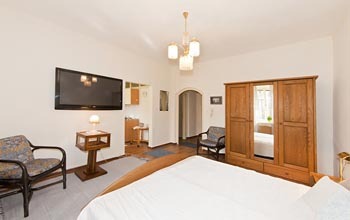 It is equipped with a queen size bed, an en-suite bathroom with a shower, a TV and a water- boiler. A baby bed can be arranged for. 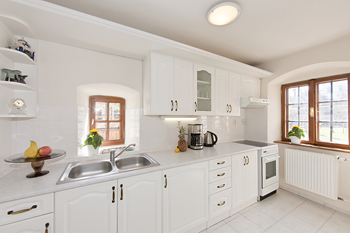 Our Jaffa apartment is located on the ground floor of the main building, overlooking the brewery gardens. 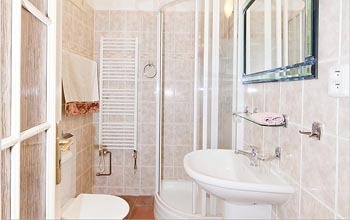 It is equipped with a king size bed, an en-suite bathroom with a bathtub and a large separate kitchen. 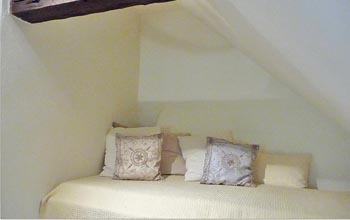 There is a sofa bed that sleeps an additional 2 people and a baby bed is available upon request. This vacation rental is also suitable for guests with reduced mobility. 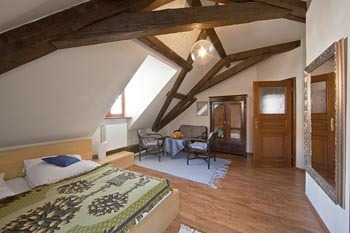 Prices are for apartment/night with double occupancy. Each another person pay 10,- EUR. Prices include parking (onsite! 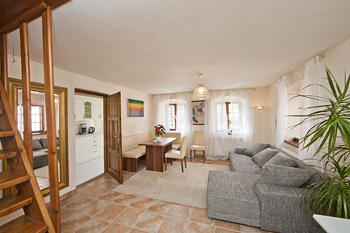 ), internet access, VAT and all taxes. Apartments Pomelo and Bizzaria sleeps 4 people, the other 2 people. Pomelo - independent house, double room with king size double bed upstairs + folding sofa in the living room downstairs, 2 full bathrooms (on each floor), separated kitchen. 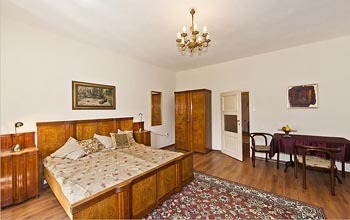 Bizzaria - large room with king size double bed and folding sofa, 1 bathroom, electric boiling kettle+mini-fridge. 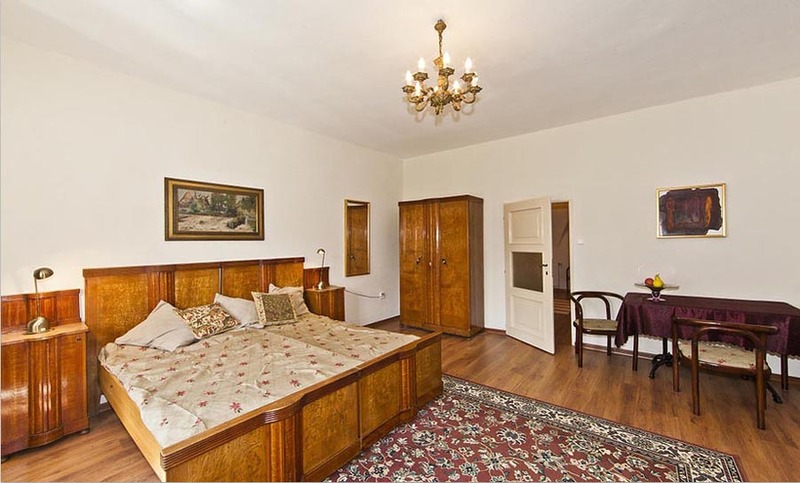 Nektarina - large room with king size double bed, private bathroom, kitchenette. 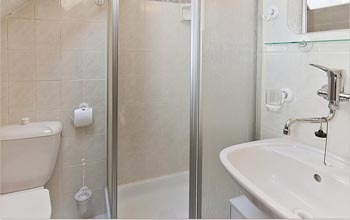 Lime a Jaffa - large room with king size double bed, private bathroom, separated kitchen. 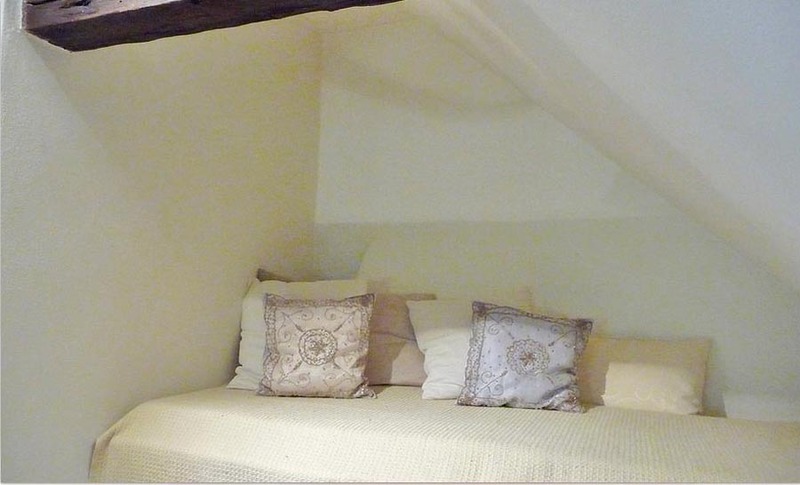 Mandarin - smaller room with queen size double bed, private bathroom, boiling kettle.